The fact that this was Alejandro González Iñárritu’s first film is spectacular enough. Amores Perros, set in the sprawl of Mexico City, is about love, betrayal and loss. The scope of the film is huge, as three disparate storylines converge into one. A car crash is what brings a motley group of people together, and ultimately, it is what determines the fate of their lives henceforth. Iñárritu, with a beautiful script composed by Guillermo Arriaga, subtly delivers a film that is profound, heartbreaking, beautiful and transcendent. The three story lines in the film are interconnected, showing how all the principal characters are related to one another by chance. A young Gael García Bernal shines in the role of Octavio, a resident of the city who ends up entering his dog, Cofi, in fights in order to secure money to run away with Susana (Vanessa Bauche), who his brother is with and who he invariably is madly in love with. Daniel (Álvaro Guerrero) and a famous supermodel named Valeria (Goya Toledo) are living together in sin, as Daniel left his wife and children in order to be with this woman. The final story of the three deals with El Chivo (Emilio Echevarría), an ex-revolutionary turned hitman who is on a search not just for his next target, but also for closure with his estranged daughter. El Chivo takes Cofi from the wreckage of the car crash he was in with Octavio and that is where the story ends (or continues, depending on the viewer’s interpretation). Rodrigo Prieto, the cinematographer for all of the films in Iñárritu’s Death Trilogy (Amores Perros, 21 Grams and Babel), brings a fantastic script and directorial vision to life in this film. His shots are action-packed and full of substance — expressive when it comes to presenting the characters and fully encompassing the urban landscape the film is set in. Iñárritu was roughly 37 years old at time of making this film. It’s said that directors usually make their first great film around the year 30, but this film was just a calling card for Iñárritu, while for other directors, making a film like Amores Perros would be their crowning achievement. There is one particular scene in this film that concretely compares to Iñárritu’s later film Biutiful. When El Chivo comes back to the warehouse he is living in to find that the pack of dogs he cares for have all been killed by Cofi, he is in turmoil. He grabs his smallest dog — who is barely breathing — and goes to his truck to get medical help. When he realizes that she’s dead before he puts the truck into drive, he knows that it’s a lost cause. There is a scene in Biutiful that directly mimics this, and when this is observed through back-to-back viewings, it’s very interesting to see the same device being employed to create meaning. This film is another example of Iñárritu’s vividly heartrending depiction of the human condition. Uxbal (Javier Bardem) is a man balancing a great deal upon his shoulders. Recently diagnosed with terminal prostate cancer, he knows that he has a finite amount of days left. His two young children, Mateo and Ana, are left in a predicament for when he dies, as his wife Marambra (Maricel Álvarez) has unpredictable and violent mood swings that are not conducive to raising children. Bardem plays a very conflicted character. His face works well on film, as he’s able to show certain emotions through a rather deadpan stare, which few actors can do. It’s interesting to see the transformation of Uxbal, as he contends with the future of his children and of the various people he has to check up on in the crime-riddled underbelly of Barcelona. Uxbal is made especially transfixing by his ability to speak to the spirits of people who have passed. There is a vividly constructed scene in which Uxbal does this with the spirit of a young man after his funeral. Maricel Álvarez gives a very raw and realistic portrayal of a woman suffering from her inner and outer demons. Her Marambra is multifaceted, and Álvarez’s transformations into her various states of being are convincingly rendered. Biutiful’s story was conceived and written in part by Iñárritu himself, along with the help of Nicolás Giacobone and Armando Bo. There are many subtle textures that are present throughout the film, which gives it its vibrancy and life. The characters are also developed quite well, with a lot of room for their progression to be shown. Rodrigo Prieto collaborated with Iñárritu yet again as the cinematographer for the film. His moving portrait of Barcelona mixes itself very well with Iñárritu’s directorial vision. What is created is a depiction not only of the difficulties one faces living in this world, but also an examination of why humans strive to want to live more and experience all that being here in this world has to offer. There is a scene in Biutiful that directly mirrors the one in Amores Perros. Uxbal is in charge of a group of illegal Chinese immigrants working in a factory that produces knockoff products that will then be sold on the street by African immigrants. One night, he comes to find that most of his workers have died due to poor ventilation and a lack of heating in the warehouse they were sleeping in. Uxbal notices a woman who is still breathing, and he brings her into his truck to take her to the hospital. However, before the ignition is turned on, he comes to realize that the woman has died. It is a transcendent moment for Uxbal, and one that brings him a greater sense of clarity as his life draws to a close. Amores Perros, Iñárritu’s first film, has made a mark on the filmmaking community ever since it’s release in 2000, and it will continue to do so for years to come. Now that Iñárritu has become a superstar director, with his popular one-two punch of Birdman or (The Unexpected Virtue of Ignorance) and The Revenant, it is beneficial to observe how such a brilliant artist was born. Biutiful, while not quite as impressive as Amores Perros, still manages to succeed at an artistic level. 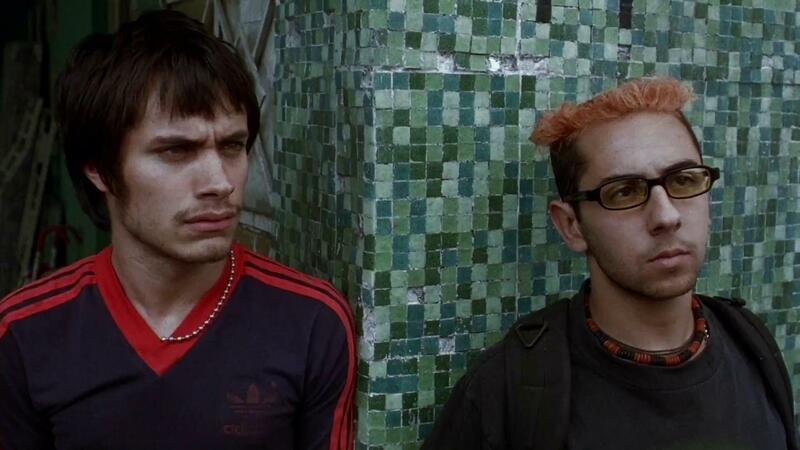 Amores Perros, however, comes out on top with its engrossing story and its gorgeousness.